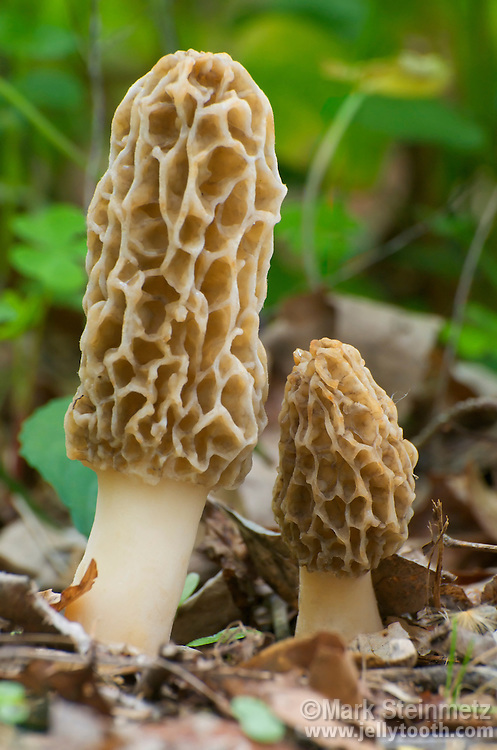 Yellow Morels (Morchella esculenta). Highly sought after choice edible mushrooms, which are collected in the wild, as they cannot be easily cultivated. These individuals were found growing under a live sycamore tree in an eastern temperate deciduous forest.